Peace, Love and Ice Cream! : 5 reasons why a dog is like a kid! Peace, Love and Ice Cream! A healthy living blog written by a 30-something year old, Type A, fitness-minded mom of 2! 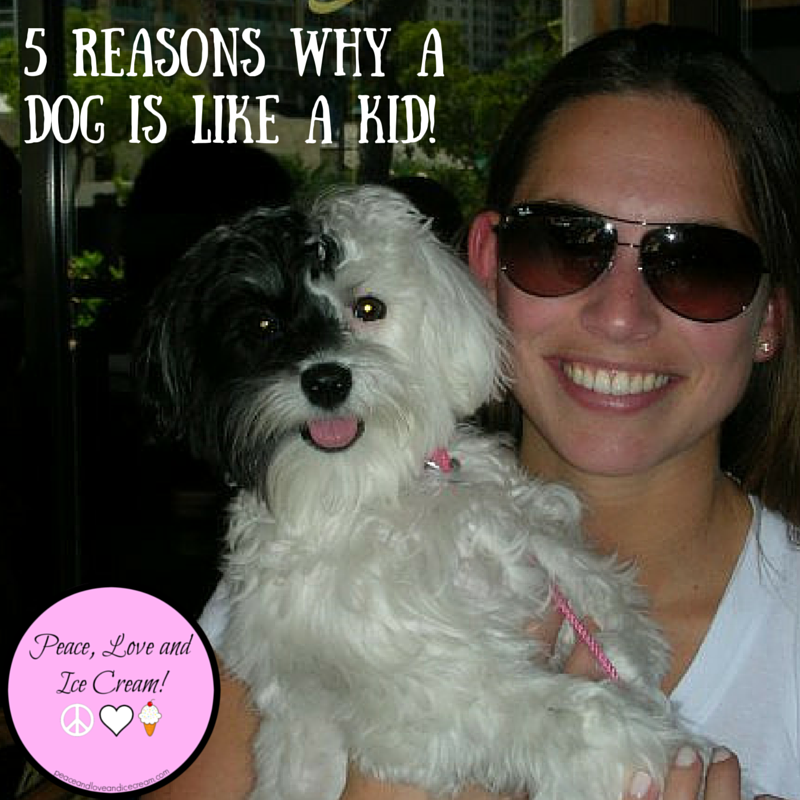 5 reasons why a dog is like a kid! Some of you may be surprised to hear it, because I don't talk about her very often, but I have a daughter! She's our first baby, almost 8 1/2 years old, 15 lbs and SUCH a cutie! She is 100% part of the family, totally my husband's girlfriend and the laziest love bug you've ever seen! She sleeps most of the day away (on a Boppy pillow that was a baby gift when my 5 year old was born - she snagged it during week 1! lol).....and then the night too! She loves dirty laundry, scrambled eggs & playing around (if she's not sleeping!)! My kids LOVE animals and I feel like it is such a gift for them to grow up with a pet (we have a fish too but I won't bore you with those details!) - they just love her & she loves them! 1. They sleep in your bed. I'm lucky that my kids have no desire to even hang out in my bed, but boy does my dog make up for it! I think that she thinks it is HER bed! And for a 15-pound small-sized dog she takes up a WHOLE lotta space! 2. They want a bite of everything you're eating. They just wait around - by your feet - just praying that something - anything - will drop! (How many have you have hidden in the bathroom or closet so you didn't have to share with your kid (or dog)?!?) What's yours is theirs, right?! The night we got her - she was 8 weeks old!!! 3. You can't leave them home alone overnight. Going on a trip? You have something someone else to worry about...who's watching your pup? 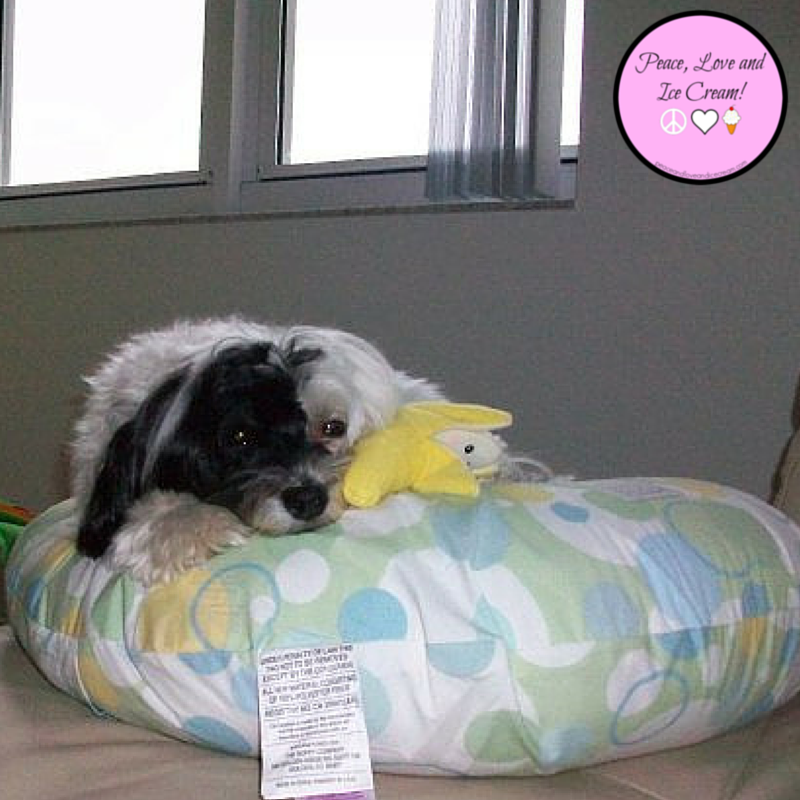 Regular walks, meals, play time - they need a babysitter, too! 4. Even if they're potty trained they have the occasional accident. Kids, dogs, it's all the same.... Do you ever feel like you're ALWAYS dealing with poop, or is it just me?! 5. 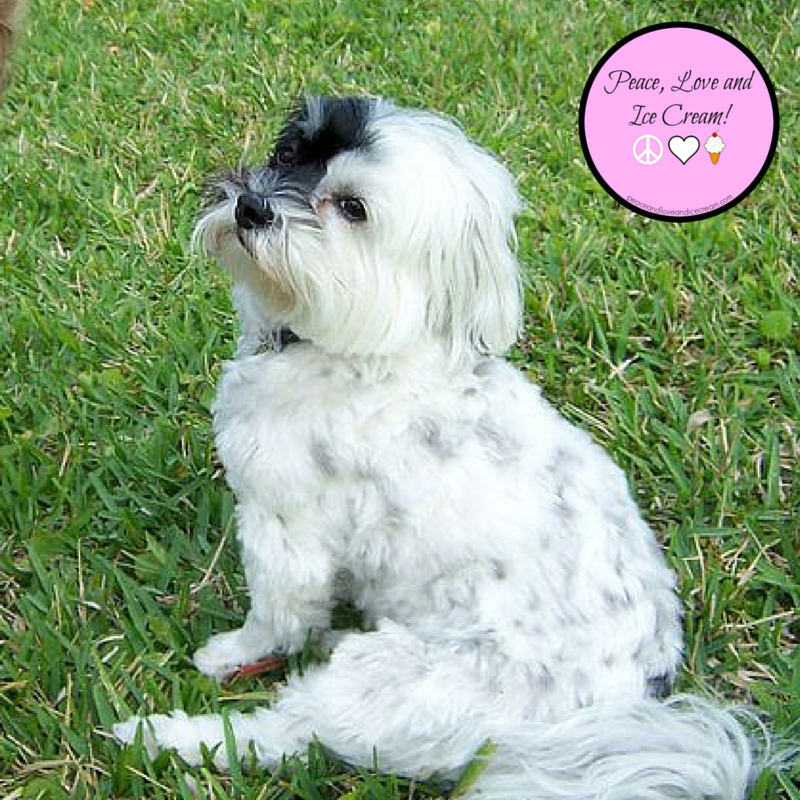 They give you unconditional love! And how?! They LOVE you always and always have your back - that applies to kids & dogs! You're their hero, their protector, their whole world!! Do you have a dog? Are they a part of your family or "just a pet"? Don't forget to follow me on Social Media!! 5 tips for being a GREAT race spectator! 5 keys to make any run a GREAT run! Why did YOU watch the Super Bowl?? I am so happy with my new sneaks - need a pair?